Our revolutionary approach to teaching young people to drive is unmatched. Good driving instruction is about passion, about listening to the student and pushing them to excel. Which is why we continually train and upskill our instructors to not only give you the best driving lesson experience there is to be had in Narraghmore but also to give you a calm relaxed environment to learn in. With our instructors your driving will come to life. Taking one or two driving lessons a week in Narraghmore is often not enough for some students. Wouldn't it be great if you had an instructor with you 24/7? Unfortunately that's not possible which is why we developed our own support and training material for you to study between your lessons, giving you more bang for your buck. We have seen students consistently progress faster with the use of our home study support material. Our course walks you through the Essential Driver Training syllabus and helps with aspects of your driving like right and left turns giving you a better theoretical understanding of what safe driving really is. This additional free training material is not offered by any other driving school in Narraghmore. Learning to drive safely means knowing and practicing particular driving skills and these 12 EDT lessons have been intended to accomplish that. There is learning the vital driving skills and developing your knowledge of road signs and road safety. Then you must master the conditions of the driving test and understand what to expect. The test is your chance to show that you are safe enough to drive unaccompanied. As with any exam you have ever had to sit, 80% of passing the driving test is accomplished long before the day of the test with right preparation. 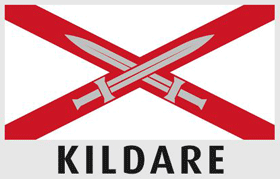 Find our more about our pretest lessons in Kildare here... or Call (045) 256 987 now to book your pretest package. 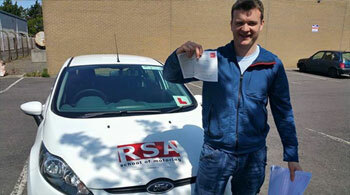 With RSA School of Motoring your Narraghmore driver training doesn't just start and finish in the car. We have designed our own email support course sent periodically to your inbox to provide you with support through your EDT program all the way to your driving test. Why? Because not all driving schools are made equal. If you have a driving test booked and want a modern, easy to drive car to conduct it in then we can help. It is our belief that by showing up for your test in a secure, dual controlled vehicle puts the tester at ease and shows a certain level of commitment from you to your own success. Investing in a pretest and car hire package for your test is the best move you can make. When we were in school we all had our favorite teachers, the ones that engaged us and made learning fun. And then we had the opposite, those teachers that had no place in the classroom. Not all teachers are made equal and that is no less a fact with driving instructors. It's not as simple as Googling 'Driving Lessons Narraghmore' and choosing the first driving school you find. Who can you trust to offer you that enjoyable and engaging driving lesson experience? 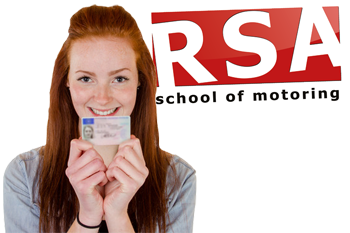 We have helped countless students pass the test so before you carry on your search we encourage you to consider RSA School of Motoring for your driving lessons in Narraghmore. Read on to discover why. You’re in luck. We have female driving instructors all over Narraghmore. People joke about female drivers. Not any more. Our female driving instructors are some of the best instructors in not just Kildare but Ireland. Book your lessons now. In busy times like these we all want convenience and flexibility and this is no less true with taking driving lessons. Which is why we can start and end your driving lessons from wherever you want be it your Kildare home or place of work. Yes. And when it comes to gift ideas, a driving lesson gift card has to be one of the greatest there is when it comes to changing the life of a young adult. 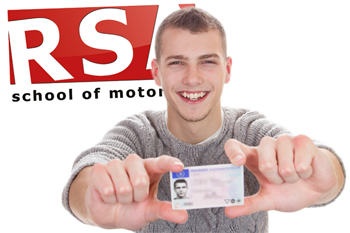 Make someones day extra special with a Driving School Gift Voucher from RSA School of Motoring. Can I learn in an Automatic Car with your Kildare driving school? What self respecting driving school doesn't offer automatic driving lessons in Narraghmore? At RSA School of Motoring you can learn to drive in a manual or automatic car. The choice is yours. Give us a call to find out more. Got anymore questions for us? Our Narraghmore driving instructors would be proud to teach you to drive so call us today. You'll be very glad you did.